Keep Calm & Snark On : Shopping Our Stash #341 - You Stamped With WHAT???? Shopping Our Stash #341 - You Stamped With WHAT???? This week we want you to see you stamp with some things that are...well...NOT stamps!! 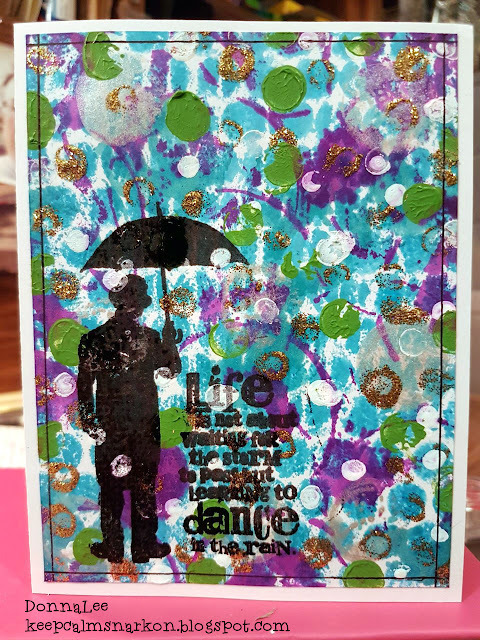 You can still use some stamps / sentiments, but we need to see something on your project that you stamped with something other than a stamp. 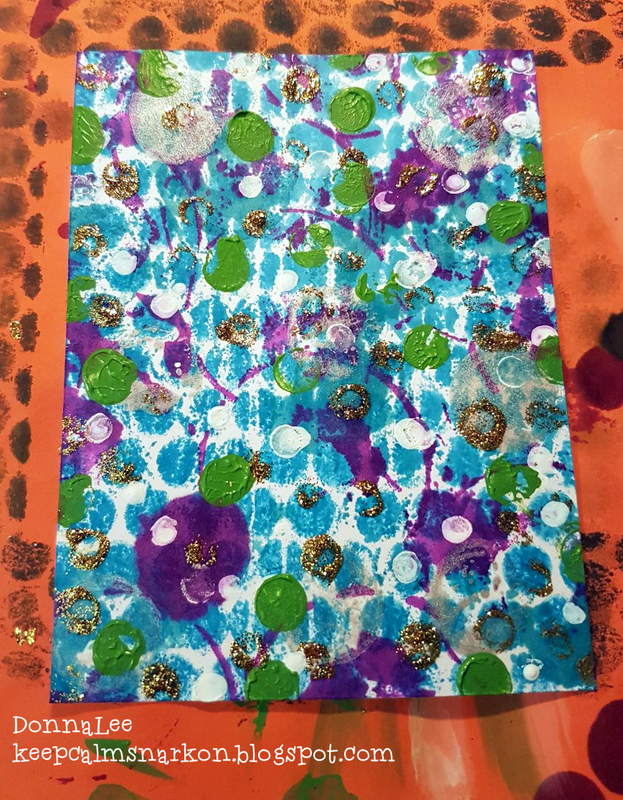 I may have gotten slightly carried away stamping with miscellaneous things in the craft room to make the background for my card...but it was sooooooooooooooooooo much fun!!! Phew!! That's a lot of stuff to make a background! As always, we could love for you to join our crew and play along! Love your colorful, colorful dots, especially the gold ones, they all look fabulous.